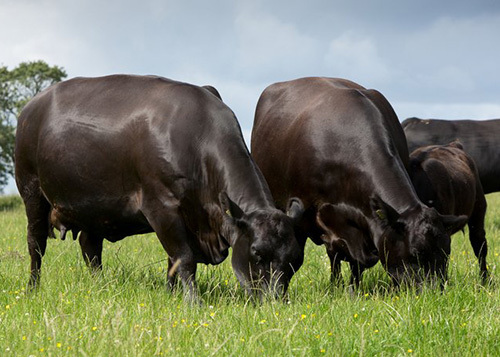 Having always had an appreciation of what the Aberdeen-Angus breed can achieve at a commercial level, the Rosslayne herd was established in 2004. 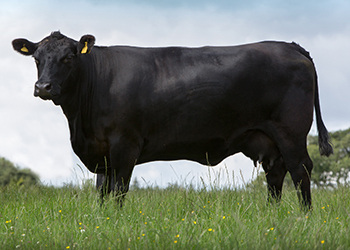 We are very much aware that the Aberdeen Angus brand was built on the solid foundations of easy calving, easy fleshing and strong maternal traits as well as exceptional quality meat. We also recognise that to be profitable in modern day beef production efficiency is of paramount importance. 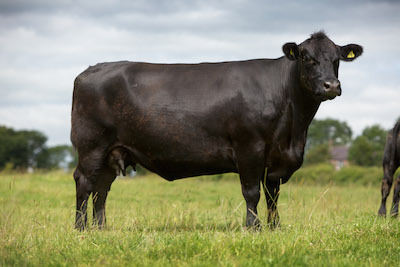 So our aim in breeding Aberdeen Angus cattle is to blend the traditional well founded traits with the modern genetics and management techniques. The desire to produce an animal in demand for the commercial market is the main driving force behind the herd, but we are also conscious that the selection of breeding cattle must suit the farm and the management system. As anyone will see when they visit the herd, Rosslayne cows are medium in size with good frame and structure, are good milk producers and have plenty of breed character. With these attributes in mind, the Rosslayne herd has been founded on strong cow families and where possible we have avoided being driven by fashionable genetics and have instead sourced a type of female which fit in to the way the herd is managed. As a result, our foundation females came from Kincardine Castle, supplemented by females sourced either off farm or herd dispersal sales. From there the focus is now the development of cow families within the herd, the current herd is based on six female lines with the Primula, Nellie and Frances lines at the forefront of the herd’s ongoing development. 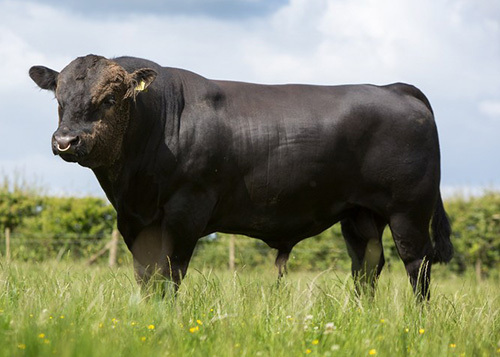 Sires from Kincardine Castle and Jerusalem were also purchased alongside the females and sons of these bulls have also been retained for further use. Sire selection has a vital role to play in the herd but key to the future selection process is cow efficiency, with particular attention paid to calf weaning weight and mature dam weight. It is widely regarded that bigger cattle are less efficient in terms of feed conversion rates as they have a greater energy requirement for maintenance before weight gain is achieved. So with this in mind we are striving to breed a dam which is big enough to rear a good quality calf but ensure that her mature weight does not compromise her efficiency. When it comes to selling the aim is to maximise sales from home, with local suckler and dairy farmers now visiting the herd to source stock bulls. A little showing is carried out at local shows to promote the herd and measure the stock against other local breeders, as well as winter calf shows. Along with this aim to produce fertile, fit working bulls, the Rosslayne herd is Breedplan recorded and accredited for both BVD and Johne’s and is in a TB4 area.